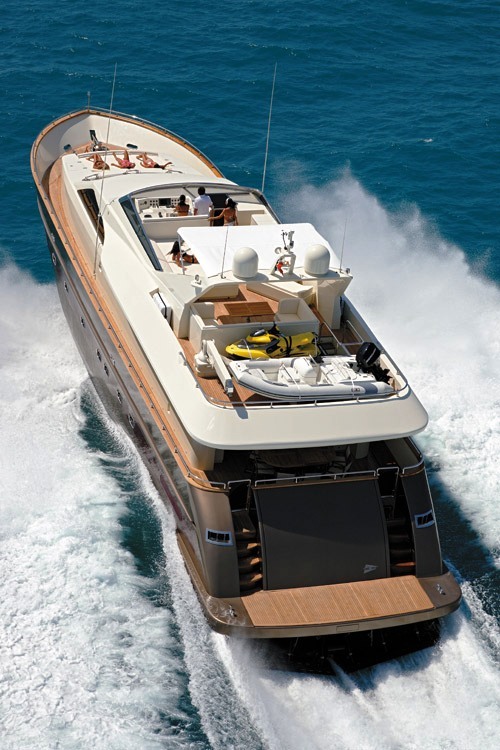 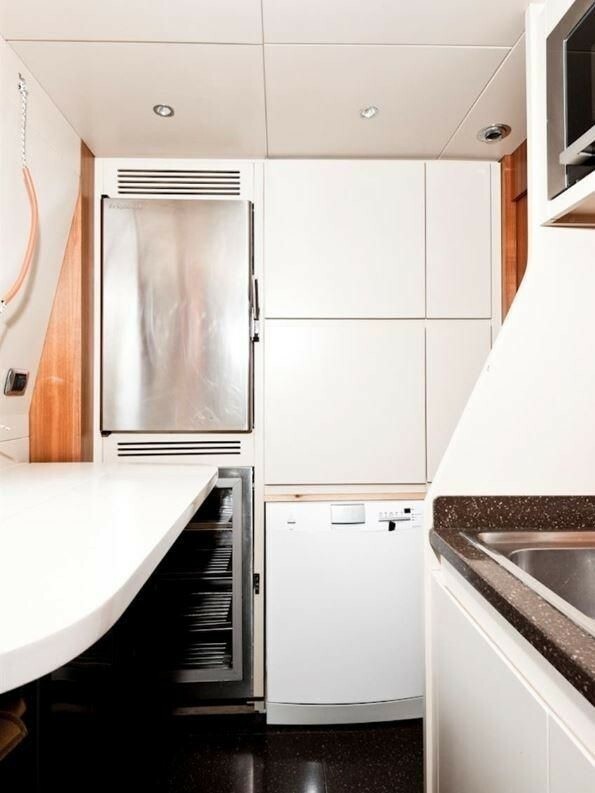 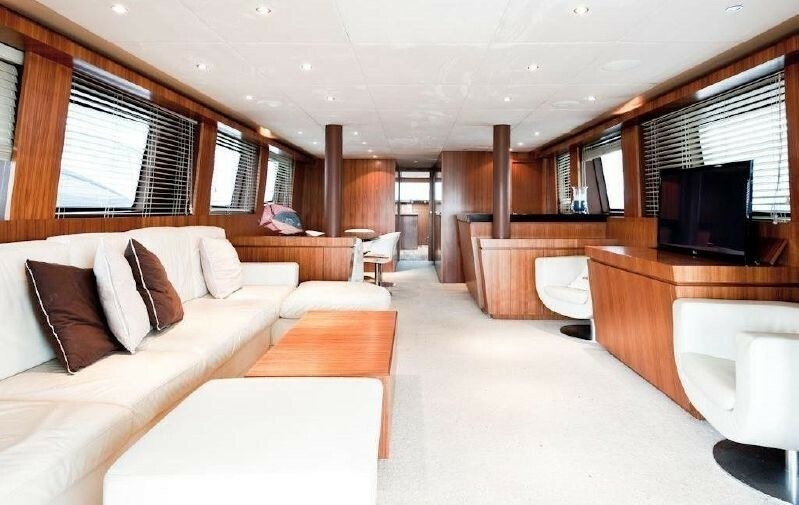 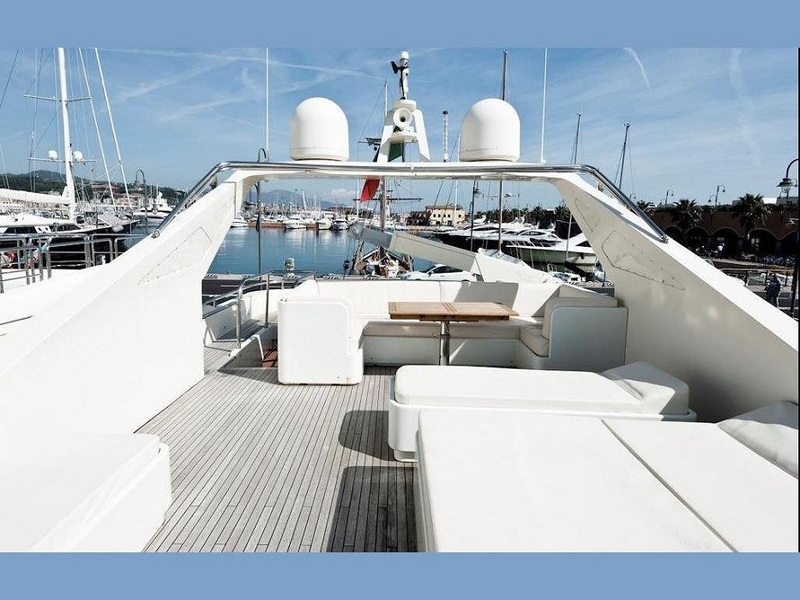 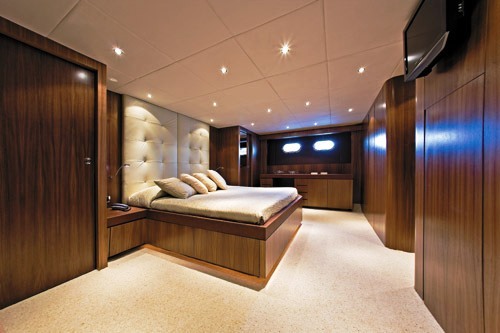 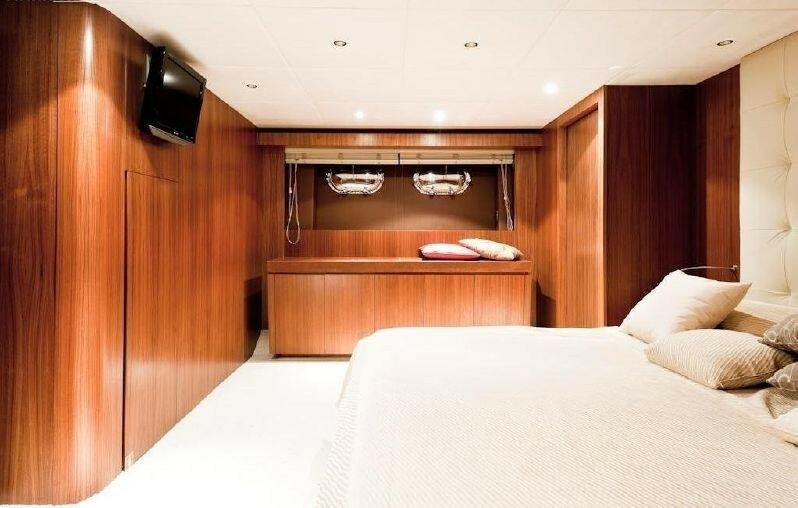 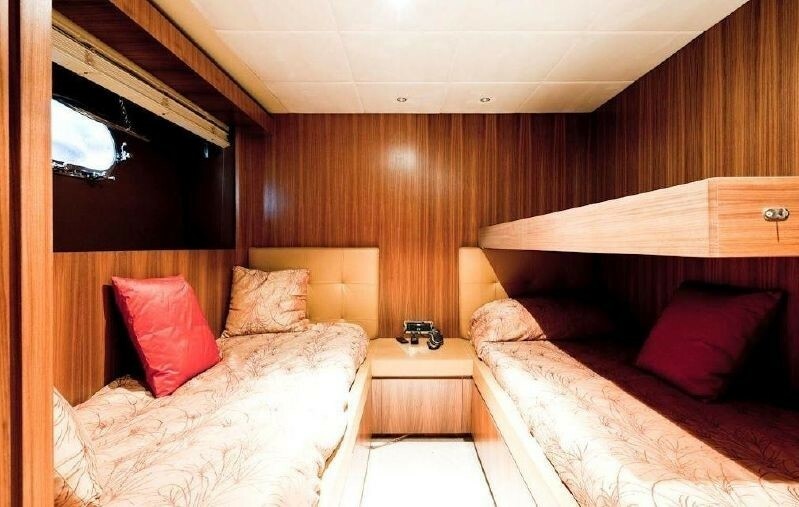 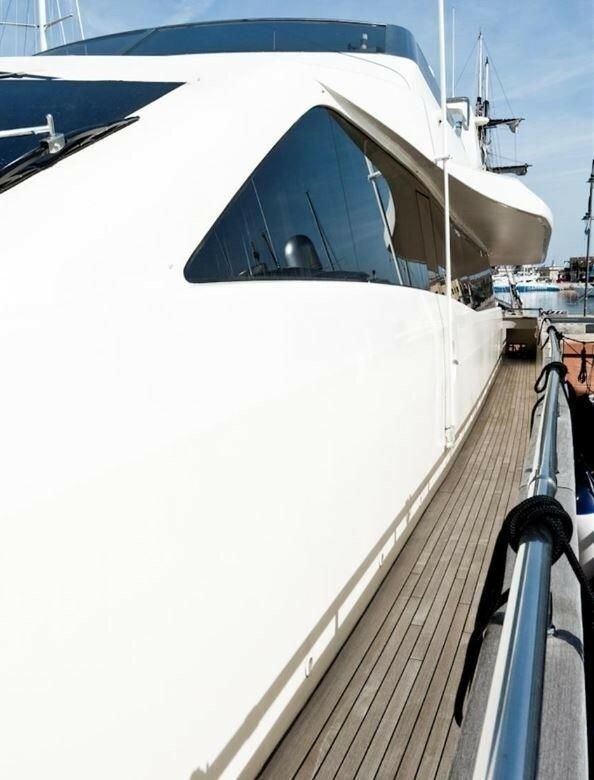 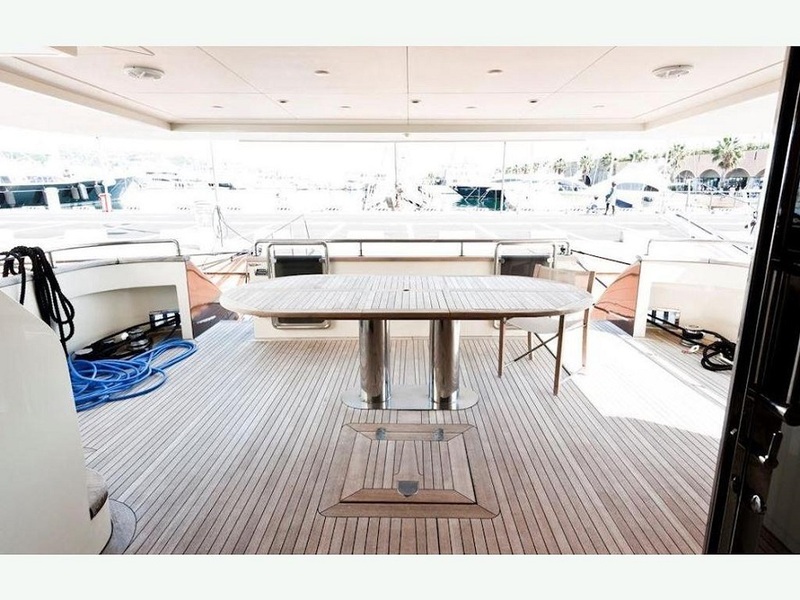 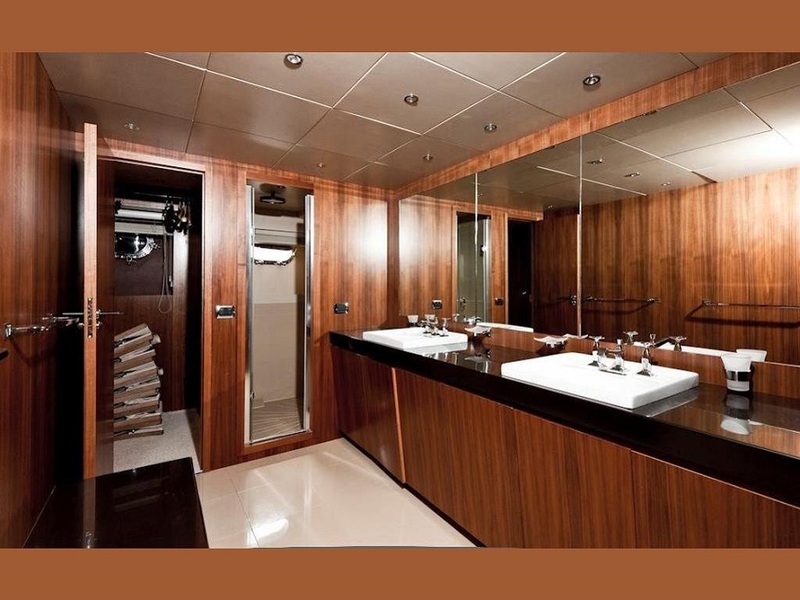 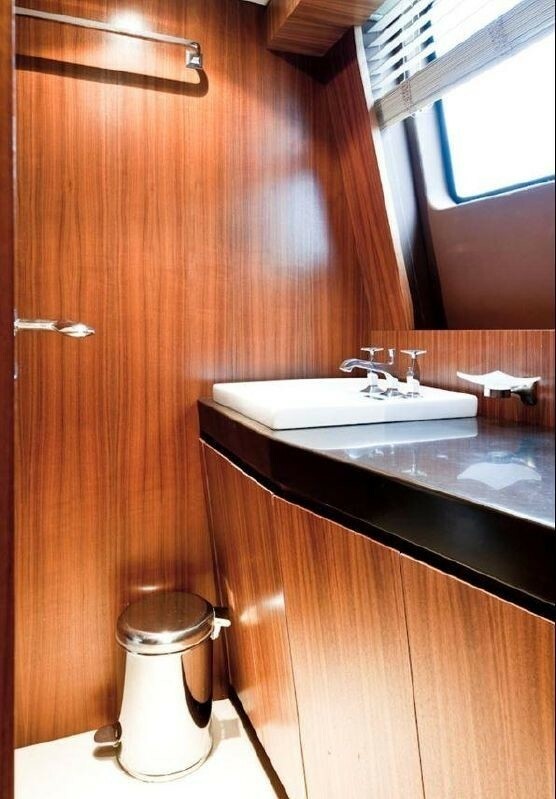 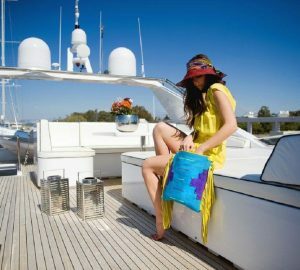 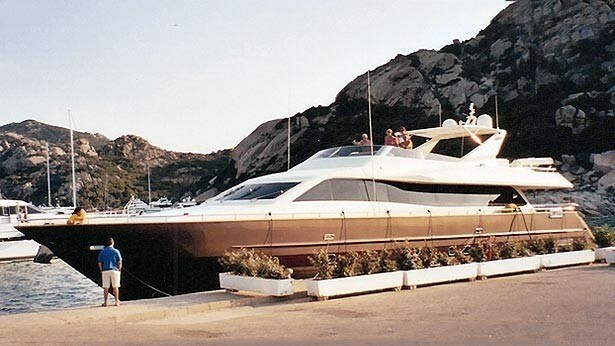 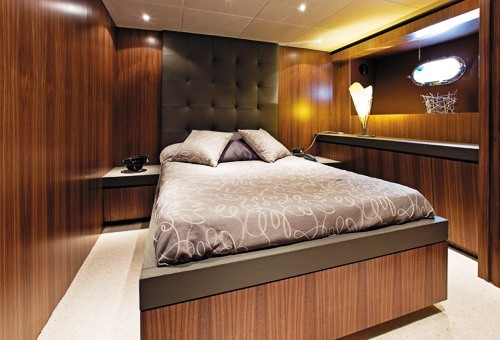 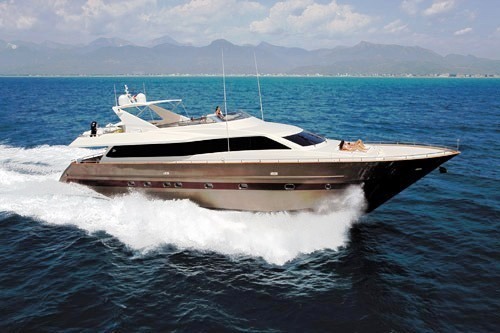 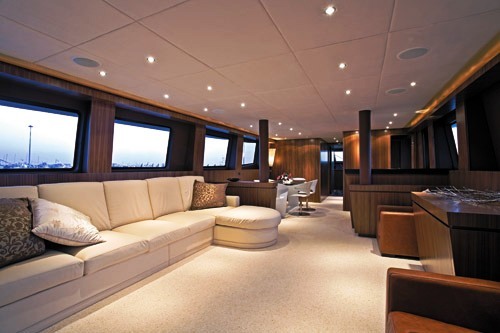 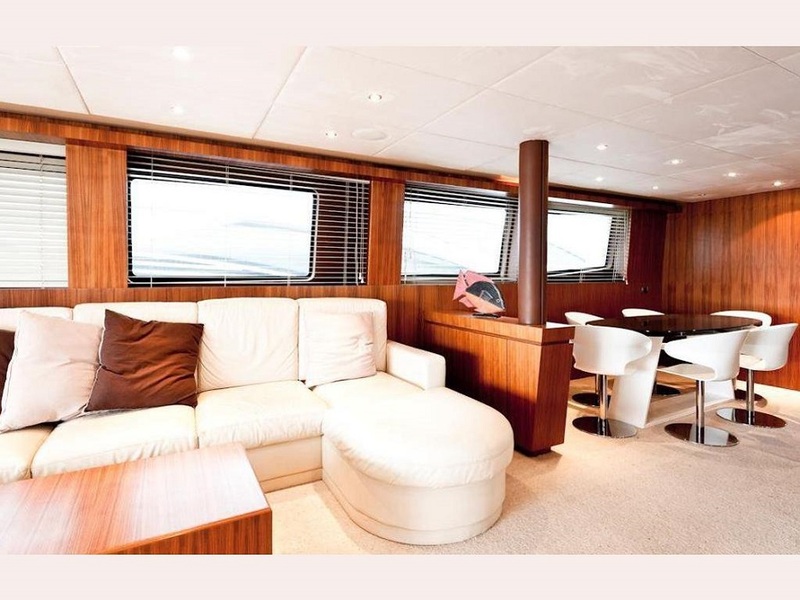 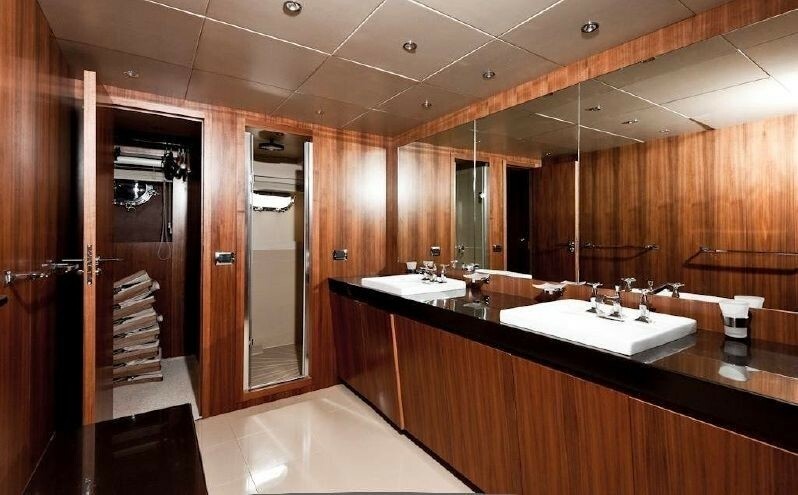 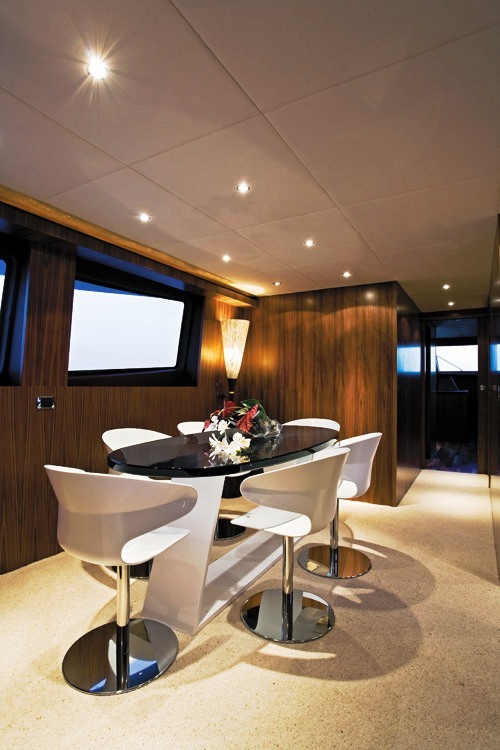 ALRISHA is a 2007 28m (92' 6") Tecnomar Nadara 26, able to stylishly accommodate up to 8 guests in 4 cabins. 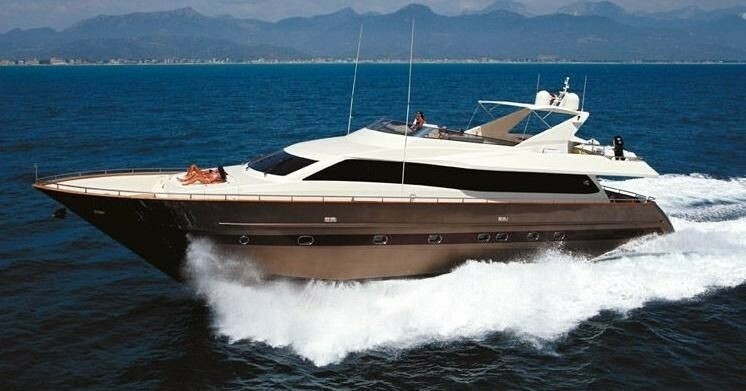 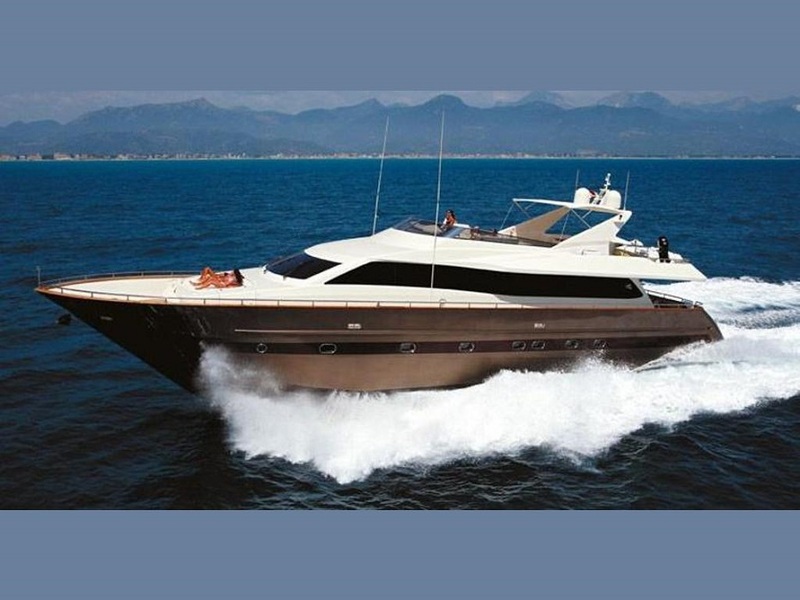 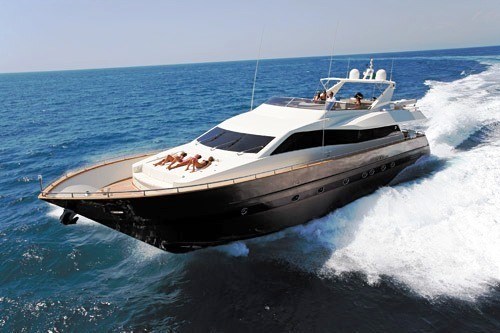 She is able to cruise at 22 knots and get you from beach to harbour with ease and speed. 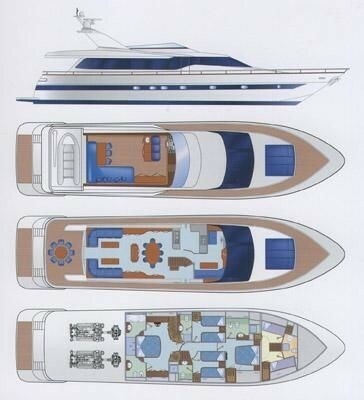 The Nadara 95' fly gives the feeling of living in a two-floor highly comfortable luxury apartment on the sea with a terrace. 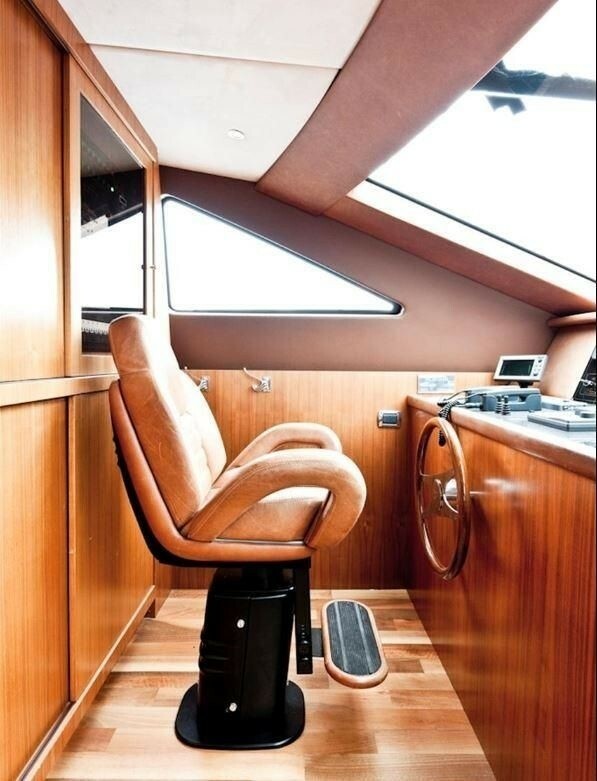 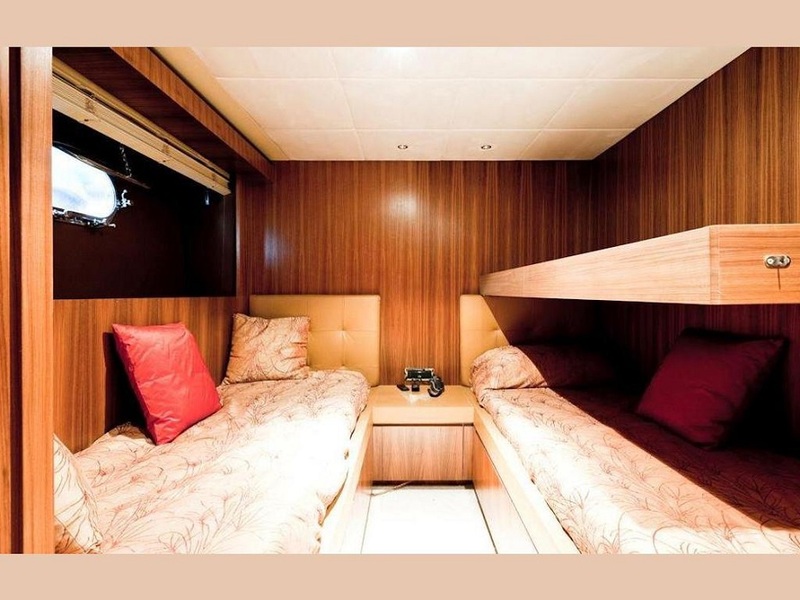 An apartment that is capable of moving across the sea at a speed of 30 knots. 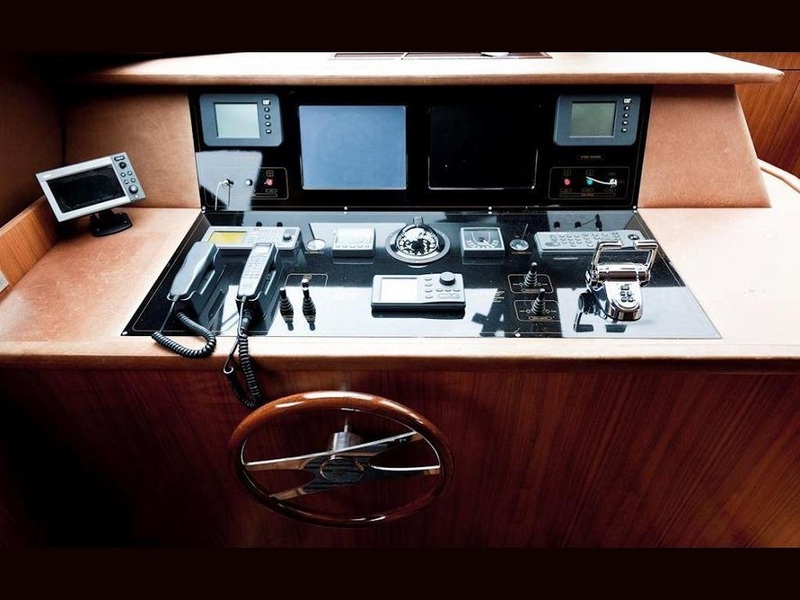 The perfectly subdivided environments are connected by two stairways, one in the cockpit and another which is internal. 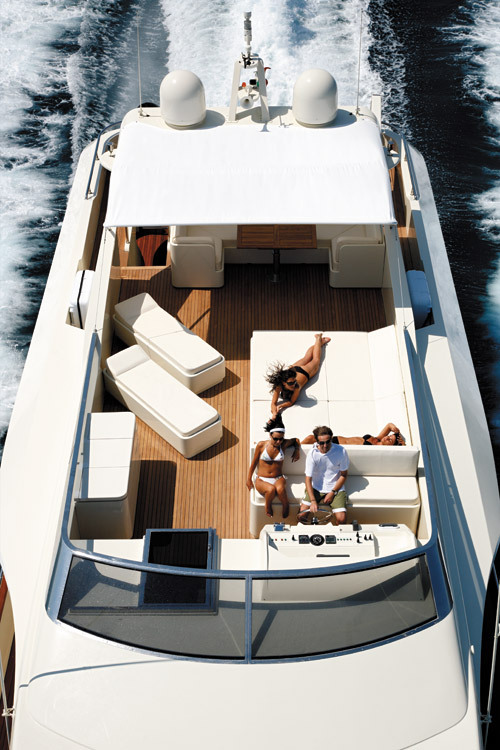 The panoramic fly bridge offers ample space exposed to the sun. 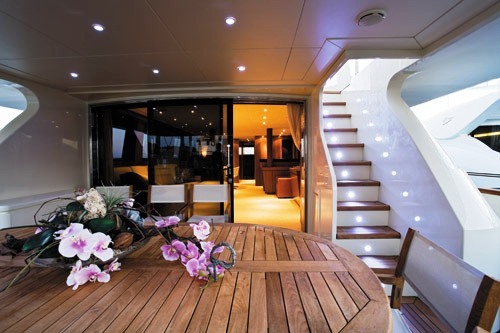 The main deck, with its vast open space living room and the kitchen that is equipped with all types of accessories, represents the convivial and recreational area. 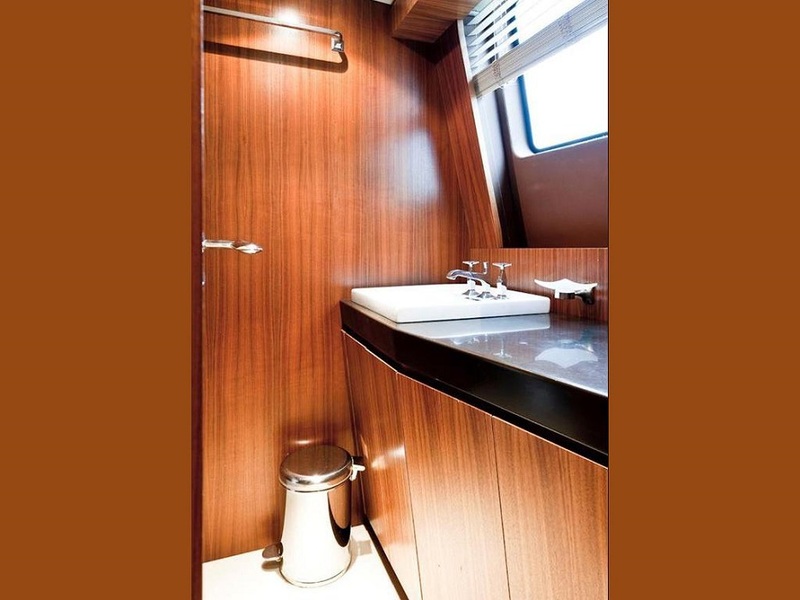 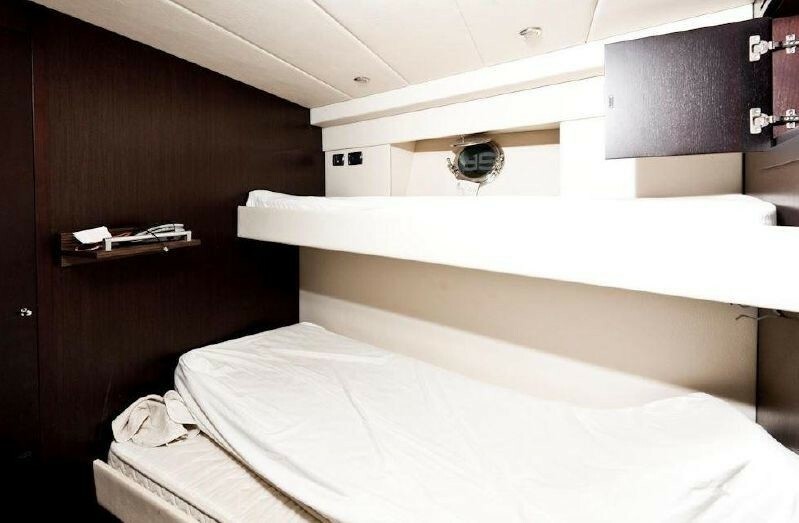 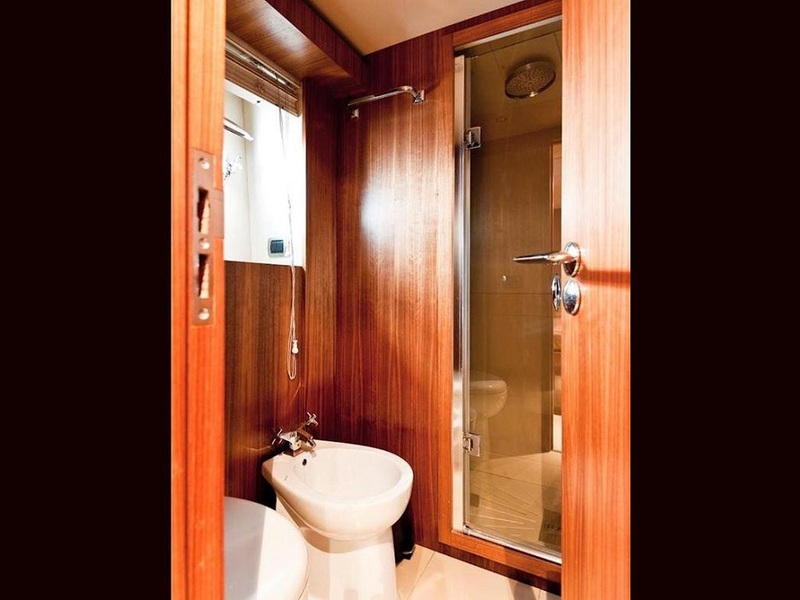 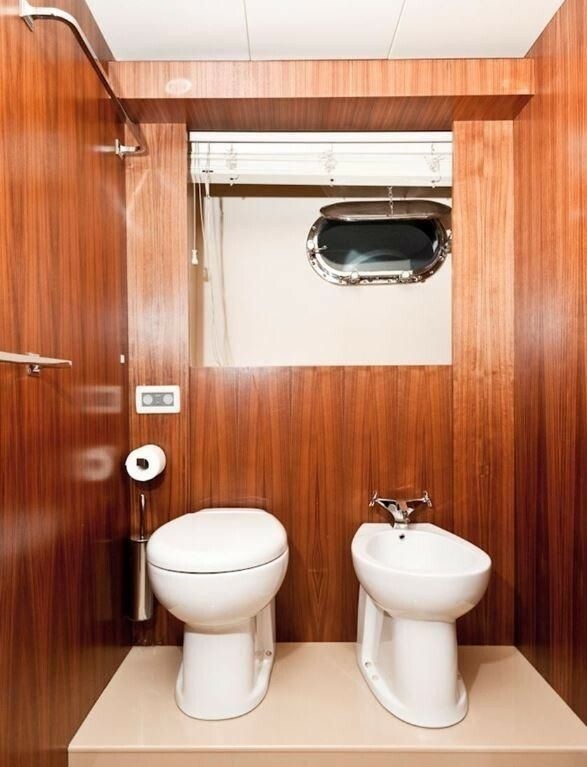 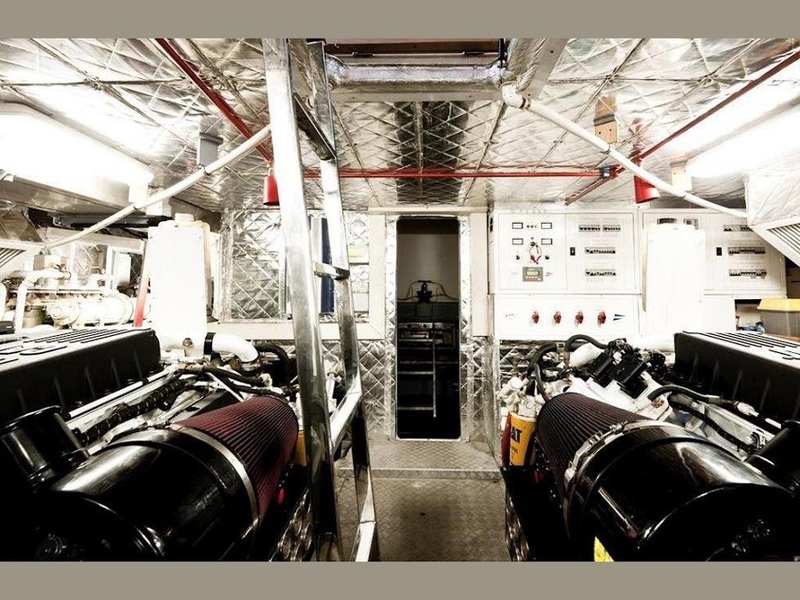 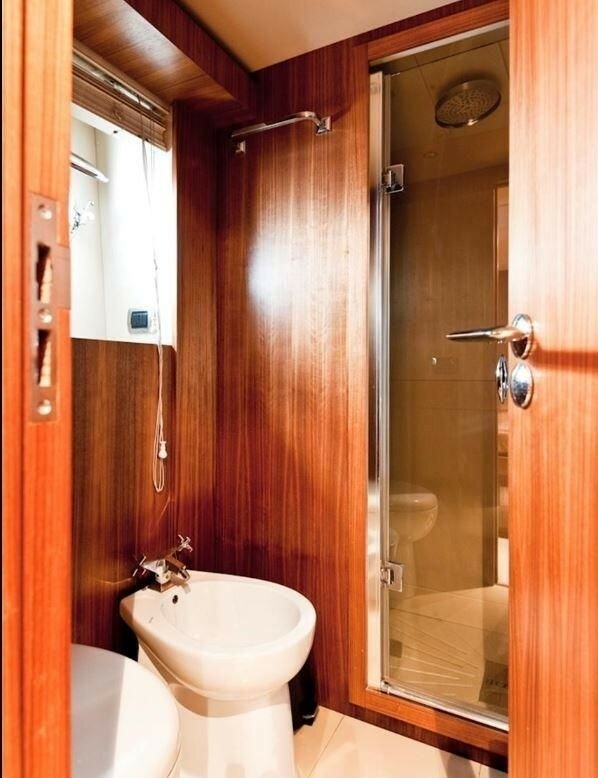 The lower deck is dedicated to privacy and relaxation and it includes four spacious and bright cabins, all of which include an independent bathroom. 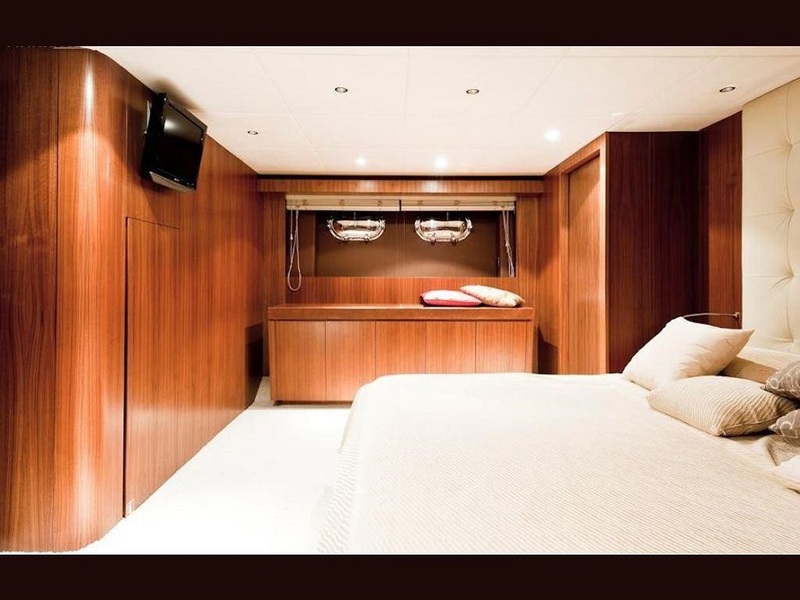 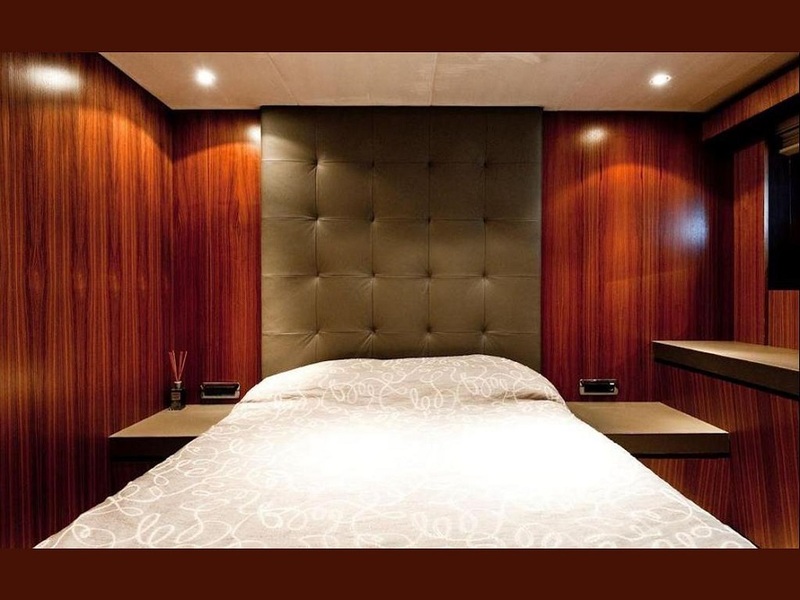 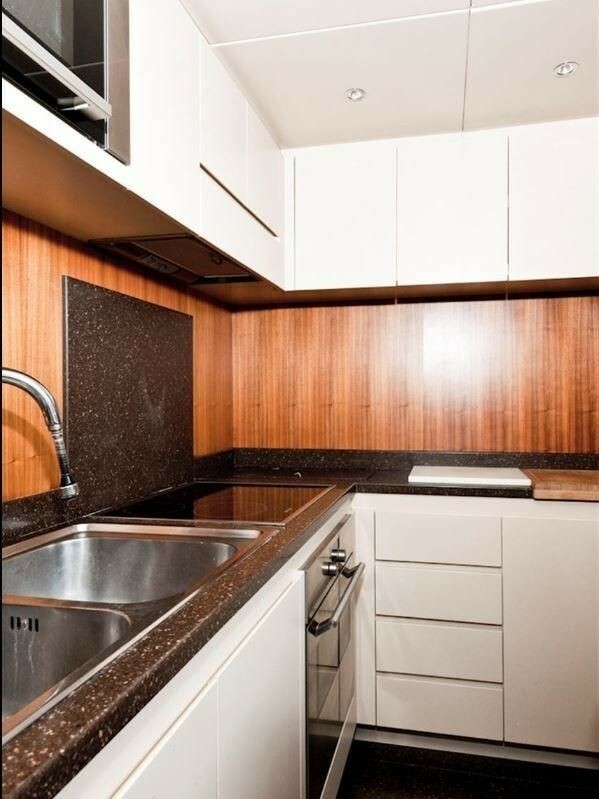 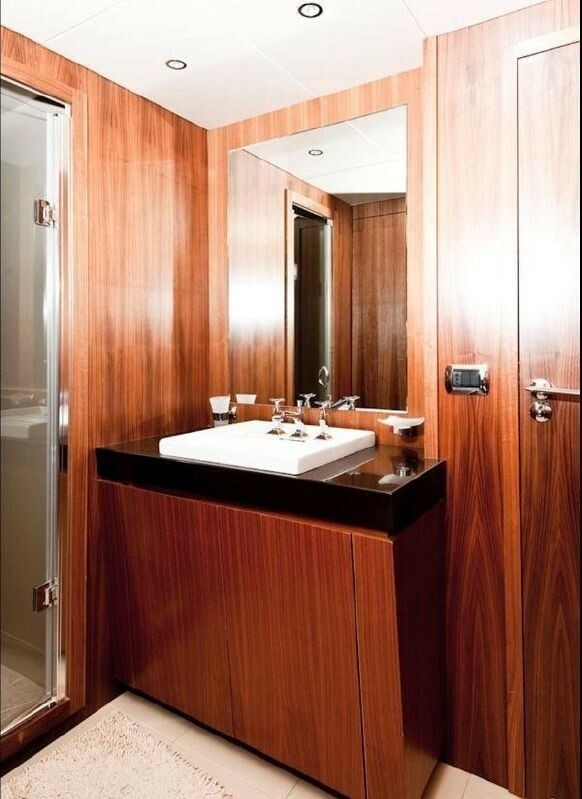 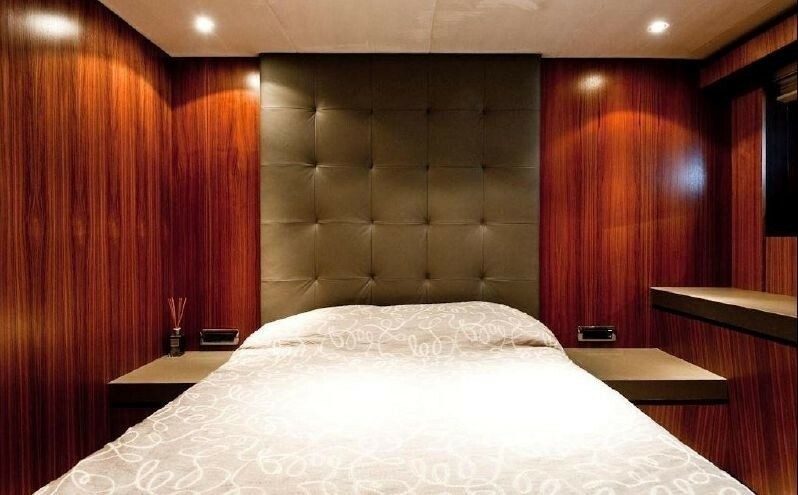 Guest Accommodation -Master cabin with en suite bathroom -Vip cabin with double bed and en suite bathroom. 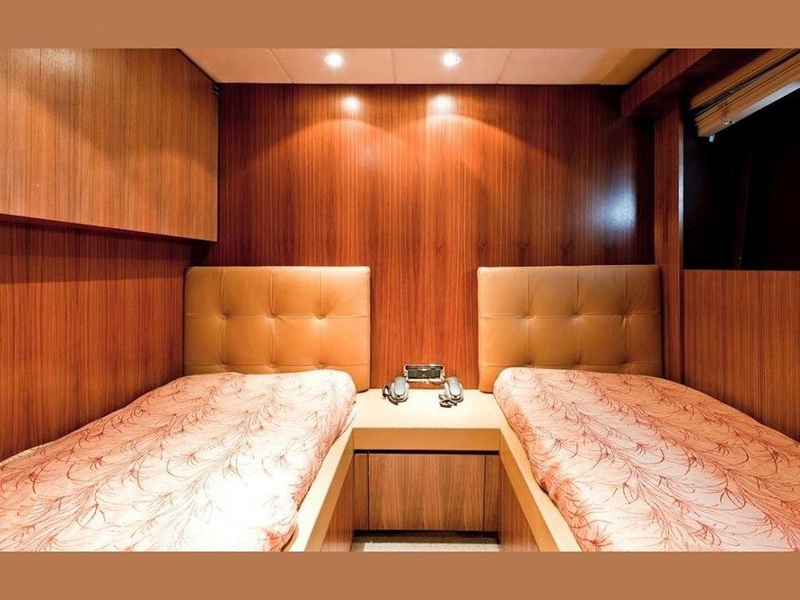 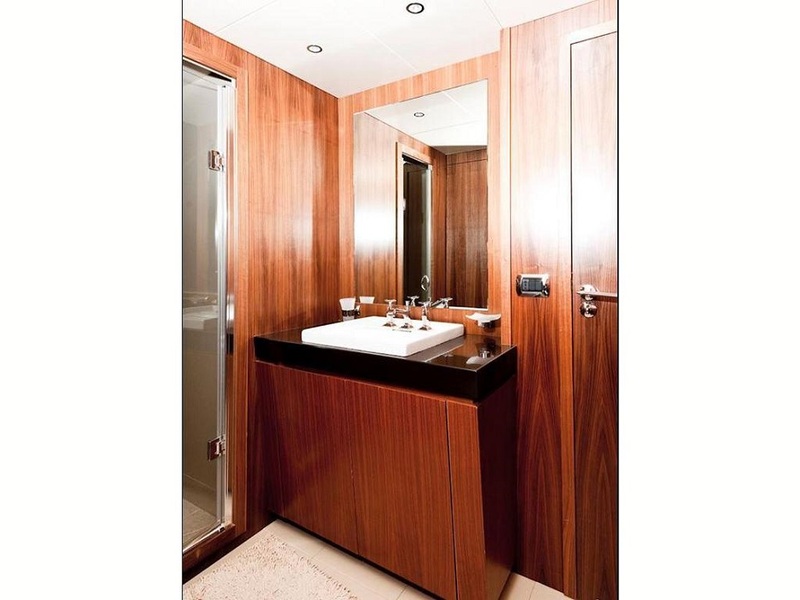 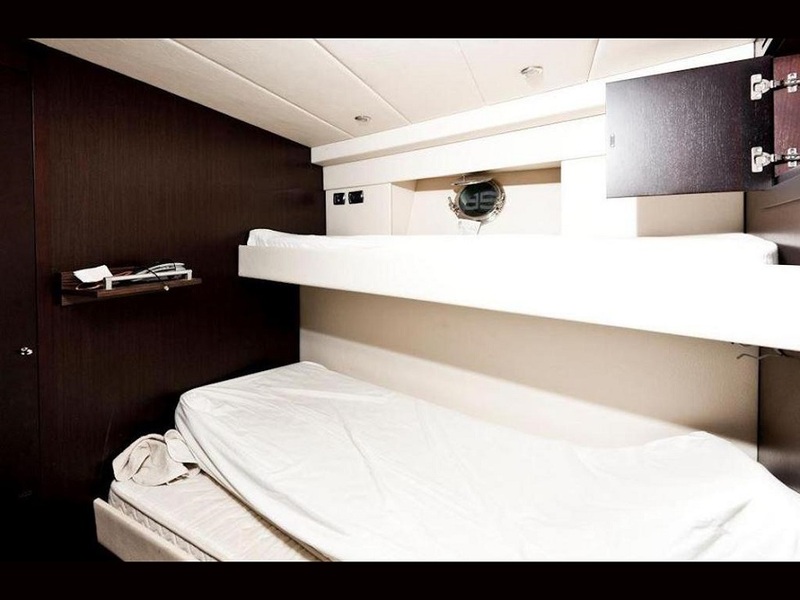 -2 twin cabins with additional pullman bed and en suite bathroom each. 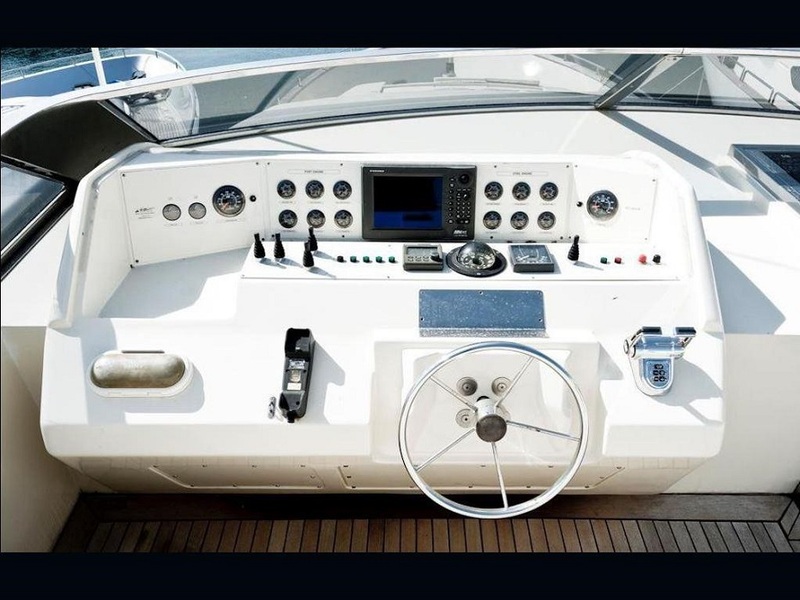 Tenders & Toys: 4,20m Tenderjet 40hp Sea doo. 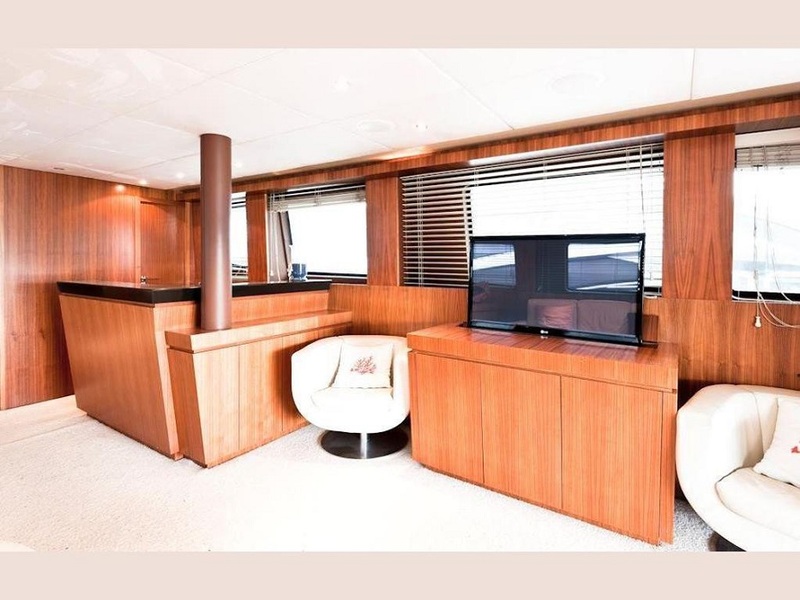 Audio Visual Equipment and Deck Facilities TV in all cabins and in saloon Sky only in Saloon DVD/CD Players.